Getaway Package — 20% OFF tickets and hotel accommodations. 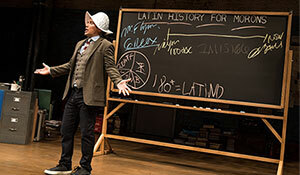 A sold-out run at The Public Theater. 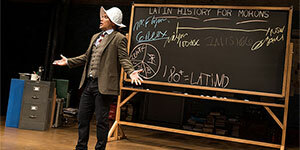 A record-breaking engagement at Berkeley Repertory Theatre. 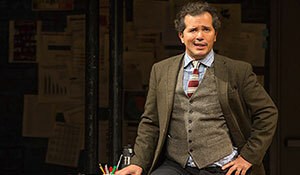 Endless critical and audience acclaim direct from Broadway. 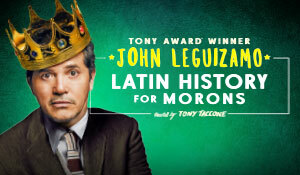 Chalk it all up to the mad genius of Tony® and Emmy Award®-winner John Leguizamo, standing at the head of the class in his one man show, Latin History for Morons. 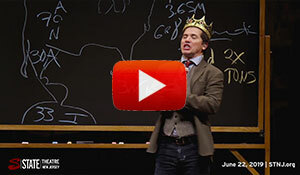 This show is recommended for ages 13+. Everyone, regardless of age, entering the theater must purchase a ticket. Child seating policy details.